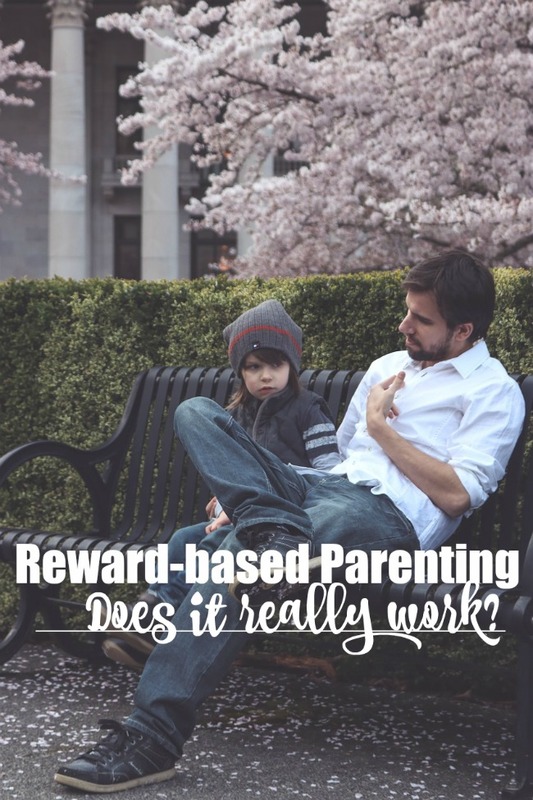 Reward Based Parenting -- Does it really work? 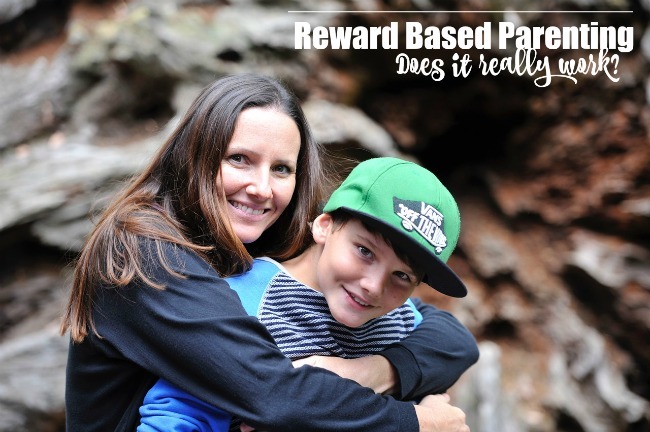 You are here: Home / Family Life / Reward Based Parenting — Does it really work? Bribes vs. Reinforcement: Do “rewards” really work? Do you wonder if you should reward your child after they complete a task or chore? You’re definitely not alone. Many think, “When I do chores, nobody rewards me.” Or, “Hey, our lives are built around responsibilities, and nobody rewards us for maintaining them.” Parents also wonder if the practice will harm their child’s social skills in the long run, ingraining a “what’s in it for me” kind of attitude as they grow. But are there really no rewards for the tasks and chores we perform as adults? Let’s consider some examples such as loading the dishwasher or brushing teeth. What will happen if you don’t load the dishwasher? Eventually, you won’t have any clean dishes to use. On the other hand, if you load and run it, you’ll have clean dishes ready to use when you need them. And similarly, let’s think about what will happen if you stop brushing your teeth. You’ll probably get cavities, which can be expensive to treat, and bad breath which will likely affect your health and personal relationships adversely. However, if you brush your teeth, you’ll have fresh breath, clean-feeling teeth, and good oral health. Do you see my point? Many tasks and chores that you perform have rewards that reinforce your desire to keep performing them. But these eventual rewards may be difficult for children to conceptualize. And the things that give us big rewards are often, well, boring — especially at the start. That’s where positive and extrinsic — or reward-based — techniques come in. Intrinsic is when we find something personally and internally rewarding or enjoyable, whereas extrinsic motivation comes from outside factors — like a reward. Although some would say an internal motivation is “better,” there’s no reason they can’t go hand in hand. Before your child feels the rewards internally, “extrinsic” rewards that are meaningful to them can be helpful. When you are trying to teach your child a new skill, you can help them receive positive reinforcement by using rewards that they value. This can help make motivation that was once extrinsic become intrinsic. Think critically about what kind of reward your child will actually work for. What can both motivate them while aligning with the values you want to instill in them? Are there any rewards that may create a bonding moment with your family? For instance, think about activities or events that might excite your child. If your child likes movies, you could suggest that the whole family can enjoy a movie night after they load the dishwasher 10 times or go out for that family hike that you were talking so long about. The study goes on to say that often the trouble with providing rewards is not the reward, but the way it’s administered. It makes sense, right? Along with selecting the right reward, another crucial factor is implementing it in a consistent manner — which is easier said than done for already busy parents. Thankfully, there are many tools that can help with consistency and self-management. If you’re looking for a digital tool, Habitz is great because it’s not just a reminder app. It’s fun and educational, but what sets it apart is that it also provides a self management tool — an evidenced-based practice for influencing behavior. It presents daily reminders that keep track of what you’re trying to instill in your child, while also providing your child with opportunity to self-evaluate his habits. And it’s all done with constant focus on goals and the rewards achieved for sticking to them. If you’d rather explore physical options, there are many tools and techniques available to help your child self-manage their behavior. Although self-management is key, your child shouldn’t feel alone. Your support is crucial. Help your child reach their goal by recognizing their cooperation and progress. If they’re struggling, it’s okay to perform the task together the first few times. One way to instill a sense of pride and motivation is by thanking your child daily for the wonderful job he is doing, and highlight the fact that the whole family is enjoying the benefits of their effort. Eventually, by acknowledging and rewarding progress toward the new skill, your child will receive the reinforcement that will help this behavior become a new habit. Isn’t that exciting? By providing healthy rewards consistently with a dose of familial pride, it’s easy to see how providing reinforcement has nothing to do with bribery. As Psychology Today says, “Children learn about what behaviors are acceptable and not acceptable based on the consequences of them.” These reward and reinforcement techniques can do just that. Victoria Tenenbaum is a certified Behavior Analyst, BCaBA. 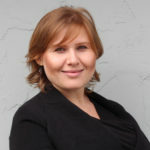 She holds a bachelor’s degree in education from Tel Aviv University and currently working toward master’s degree in applied behavior analysis. Victoria specializes in training parents to address children’s problem behaviors by implementing a scientific approach to correcting a child’s sleep or behavior problems. 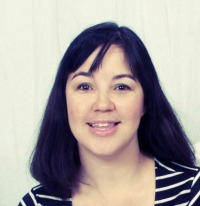 Victoria is a mother of 2 very active boys and is a pediatric behavior consultant for Habitz. Positive Parenting with Preschoolers 20 Awesome and Inspiring Parenting Quotes Four Tips for Parenting Alone Dr. Sears: Attachment Parenting, Can I Get a Refund?